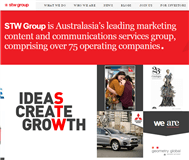 STW Group is Australasia’s leading marketing content and communications services group, comprising over 75 operating companies. Leadership. Providing board-level insight, perspective and advice across the group on digital, integration, and technology. Partnerships. Develop strategic partnerships outside of the group to ensure their operating companies have access to the latest technology, thinking and suppliers. Strategy. Provide strategic support to their operating companies for new and existing client assignments. Investment. Making acquisitions and strategic investments in leading digital companies that will strengthen their overall group digital offering and drive growth. Technology. Drive the group's technology strategy and capabilities, making sure they can continue to offer clients the highest quality digital services on every possible platform. Acceleration. Helping their operating companies build their digital capabilities through training and support. 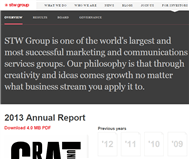 STW Group is building South East Asia’s most sought-after, influential digitally-led communications network. 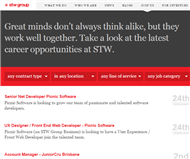 In 2011, STW set out to expand their footprint throughout South East Asia. They saw a clear opportunity to create something unique - a network that is truly digital at its core, driven by leading local entrepreneurs, bringing together the best partners in each market. Today they have eight businesses operating in the South East Asia region with total 2013 revenues of more than A$25 million. More than 60% of that revenue came from digital services. STW Group's companies in South East Asia already work with many of the region’s biggest and most sophisticated clients across every sector. 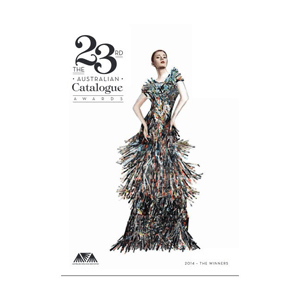 They are able to offer these clients the full spectrum of marketing services capabilities, drawing from the local strength of each business together with the powerful network of STW. 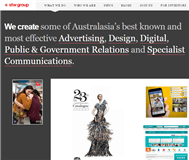 They create some of Australasia’s best known and most effective Advertising, Design, Digital, Public & Government Relations and Specialist Communications.